This past month I enrolled in a Permaculture Design course held at the CERES Community Environment Park where I volunteer in Propagation (which I’ll be writing a post about soon under “WWOOFing While Pregnant”). 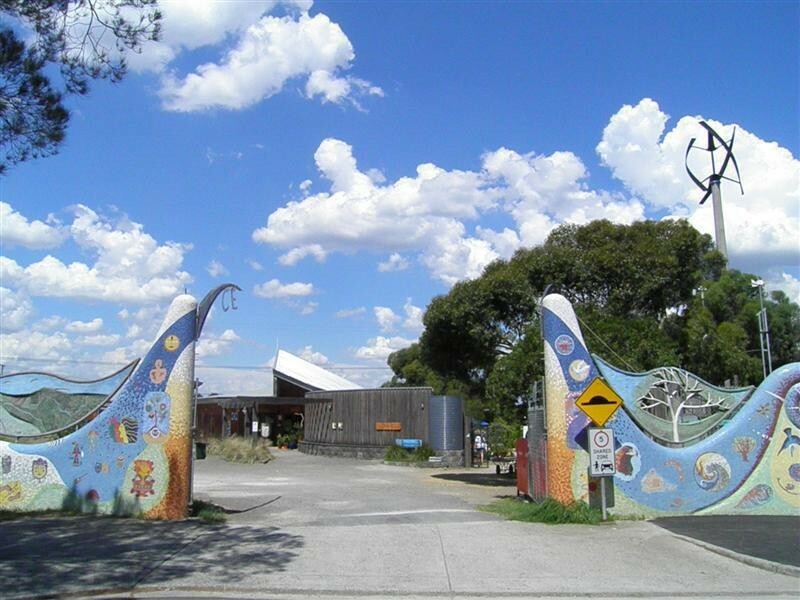 The course takes place over the next three months every Tuesday night and every Sunday excluding a number of Australia’s many public holidays and including 2 overnight weekends where we take trips to working permaculture properties. So far the course has been largely an “introduction” and we have gone over much of what I have been reading in our growing collection of permaculture literature. However there are a few things we have discussed that I would like to share and I will continue to update as the course continues. I’d like to make these posts short and sweet and easy for you all to read so I’ll only talk about one thing at a time. In our last class we were asked to pick a favorite of the 12 permaculture principles and give a quick talk to the class about why we favor it and how we are implementing it in our lives. It’s hard to pick a principle because they are all very important but at this point in time I knew immediately which principle to choose, and that was principle number 1: Observe and Interact. Permaculture is a school of thought. It is a lifestyle. It is a moral obligation we owe to this planet we are currently abusing. It is a journey learning how to understand and implement and it all starts with the first principle. I started my path on observation and interaction when I started WWOOFing with Dagny still cooking. I visited a number of properties where the hosts showed me how they lived as self sufficiently as possible. I observed their interpretation of permaculture and I interacted by lending a helping hand where a big belly wouldn’t get in the way. After a short break to bring our new family member out in to the world and to show visiting family members around our new home, I found CERES and began to volunteer in propagation. There I’m learning all about how to start up seeds to plant in the garden which I’ll go into more detail about in another post. Aaron and I also started our own garden in our back yard where we started to experiment with our ability to grow our own food. But as time has gone on I have realized that my observations needs to go much deeper. 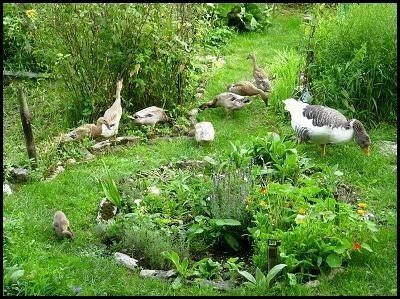 The best examples of perfectly self sufficient ecology are in nature. When I go outside and see that my garden bed is covered in weeds I start to think, why is that? What kind of soil are these weeds attracted to? Soil needs nourishment just like people do and the earth has a way of providing plants that will provide the appropriate nourishment. What is it that the soil in the garden bed needs that these weeds are giving it? Some plants give a soil nitrogen, some give the soil potassium or phosphorous. Next I ask what kind of plant the weed is. Is it edible? We don’t realize how very nutritious many “weeds” are. Many will go great in a salad and pack more nutrition than half the vegetables you are planting in your garden. Maybe I can let some of it stay and eat it. What other plants are similar to this weed? What other plants will grow well where this weed is growing? If there are herbs or other plants that will cover a good amount of garden bed space but not shade out the other plants I could fill in that space with that herb and leave no space for the invasive one. I’ve also begun to look at the conditions in which different plants seem to be thriving. Everywhere I go I look to see what plants are growing well in shade, what plants enjoy more sunlight, which plants thrive in continuously wet pockets of soil and which seem to do fine where water hasn’t visited for ages. I make these observations, I make a note of them and I begin to search for plants with similar needs and properties that I could use in day to day life. 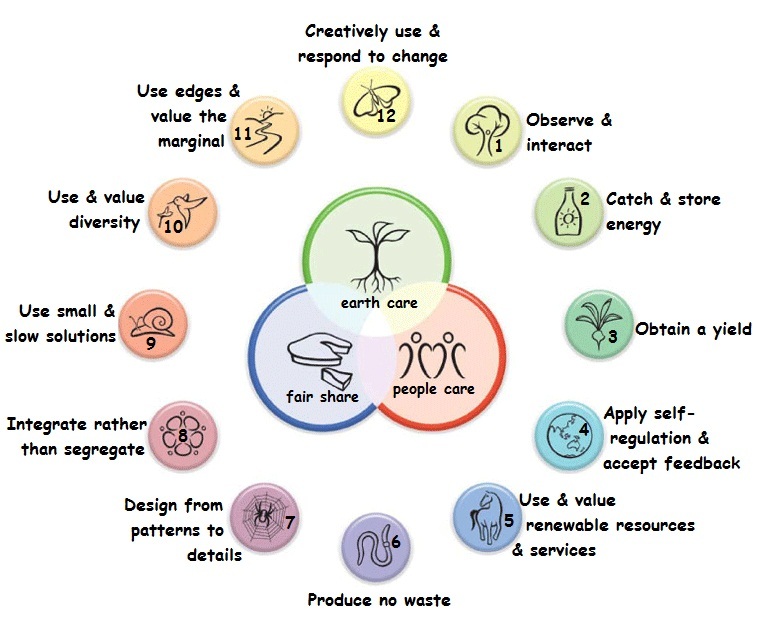 A fantastic existing permaculture design with thoughts like this in mind is the herb spiral. 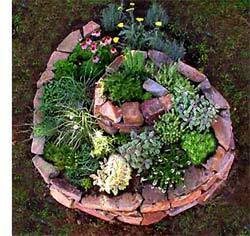 Observing the optimum conditions for certain herbs, one person used their super human brain to create a spiral that starts high, placing herbs that enjoy less wet soil and more sun at the top and spiraling down to herbs that need more and more water and shade. I make similar observations with wildlife and farm animals. I look to see what these animals are naturally drawn to and how they interact with what is provided to them in hopes of being able to design the best system for my own animals on my own property. With the right system, very little supplementation is necessary. The reason I wanted to write a short post on this discussion is to bring one point to the front. If we are to observe our natural world we can see that it has so much more experience than we do on how to live healthy and how to acquire one’s needs efficiently with the least amount of work. It’s not that I’m lazy and don’t want to work, it’s just that I know that I can get more for less work and that only makes sense! If we pay attention we can mimic nature’s wisdom and improve on it. We are wasting our brain power on learning and figuring out ultimately ridiculously inefficient ways of doing things. But alas, that is yet another blog post to come. By observing and interacting, both with nature and with the people who have been studying nature and have already begun to implement permaculture practices, I am taking the first steps to getting back in touch with my home. I am soaking in its wisdom and gaining a great respect for it and that is the most important step. Respecting our home is necessary in order for us to desire to take care of it. One day, when I have my own property and I walk the yard and see a small hill with a spot of shade and where it’s dry up top and more wet down at the bottom where rain collects I’ll know just what will want to live there and what I can do to improve the area to make it the perfect home for a number of plants and animals I need. I’ll know how to improve it naturally so that the plants and the animals and I all benefit from what is available and are provided with everything we need without needing chemicals and other unnatural means, just the way the world did it before humans ever walked the earth. But the road to this knowledge is long. I have a long way to go and I’m looking forward to every minute of it.